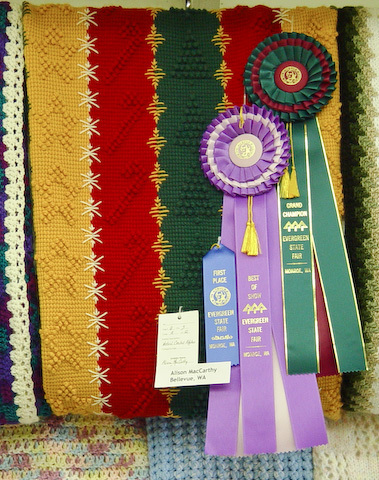 The Crochet Guild of Puget Sound was founded in 1997. It is affiliated with the Crochet Guild of America. This non-profit organization is open to anyone interested in the fiber art of crochet. All ages and skill levels, from beginner to professional artisan, are welcome! Chapter dues for both new and returning members are $10 per year, January thru December. After July 1, new members may join for $5. © Alison MacCarthy, All rights reserved.